Today’s children will need a balanced set of cognitive, social and emotional skills in order to succeed in modern life. Their capacity to achieve goals, work effectively with others and manage emotions will be essential to meet the challenges of the 21st century. While everyone acknowledges the importance of socio-emotional skills such as perseverance, sociability and self-esteem, there is often insufficient awareness of “what works” to enhance these skills. Teachers and parents don’t really know whether their efforts at developing these skills are paying off, and what they could do better. 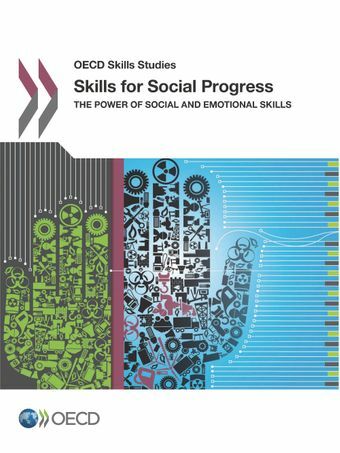 Policies and programmes designed to measure and enhance socio-emotional skills vary considerably within and across countries.This report presents a synthesis of the OECD’s analytical work on the role of socio-emotional skills and proposes strategies to raise them. It analyses the effects of skills on a variety of measures of individual well-being and social progress, which covers aspects of our lives that are as diverse as education, labour market outcomes, health, family life, civic engagement and life satisfaction. The report discusses how policy makers, schools and families facilitate the development of socio-emotional skills through intervention programmes, teaching and parenting practices. Not only does it identify promising avenues to foster socio-emotional skills, it also shows that these skills can be measured meaningfully within cultural and linguistic boundaries. How to foster social and emotional skills?